Christmas is a time of celebration and eating and drinking to your heart's content, so whether you're organising a work Christmas party for 50 or 5000 people, Feast It are here to make sure you're offering your colleagues the best possible festive food and drink. With over 500 of the country's most delicious and unique caterers and mobile bars on our site, we're bound to have a great menu to suit your event, making a night to remember and the perfect start to the festive season! Planning a work Christmas party can be a tricky business, but however you decide to celebrate, we'll ensure that your guests leave with full stomachs and great memories. 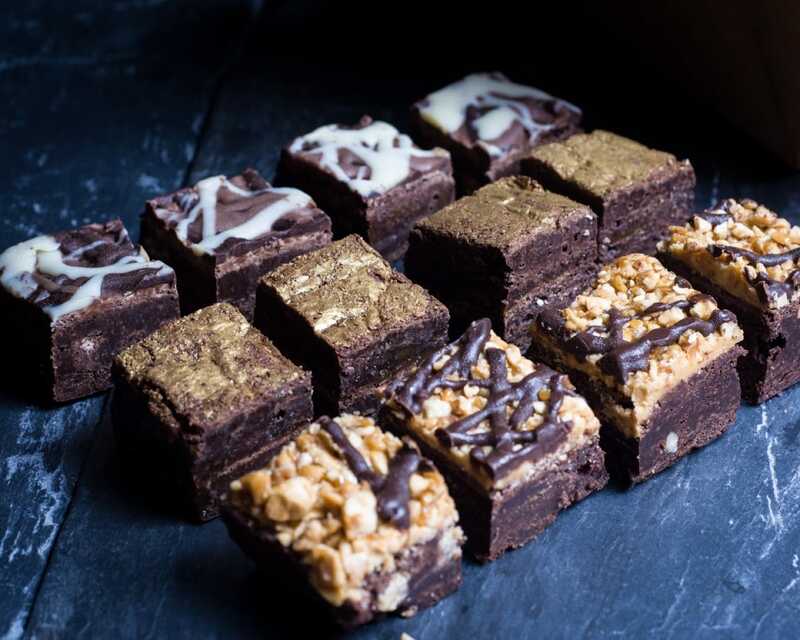 Our caterers absolutely love creating bespoke menus, so if you want the food and menu names personalised for your company, they will be delighted to accommodate. Feast It can work with you or directly with your event planner to make sure that the catering is on point. Looking to have a sit down meal as part of the event? 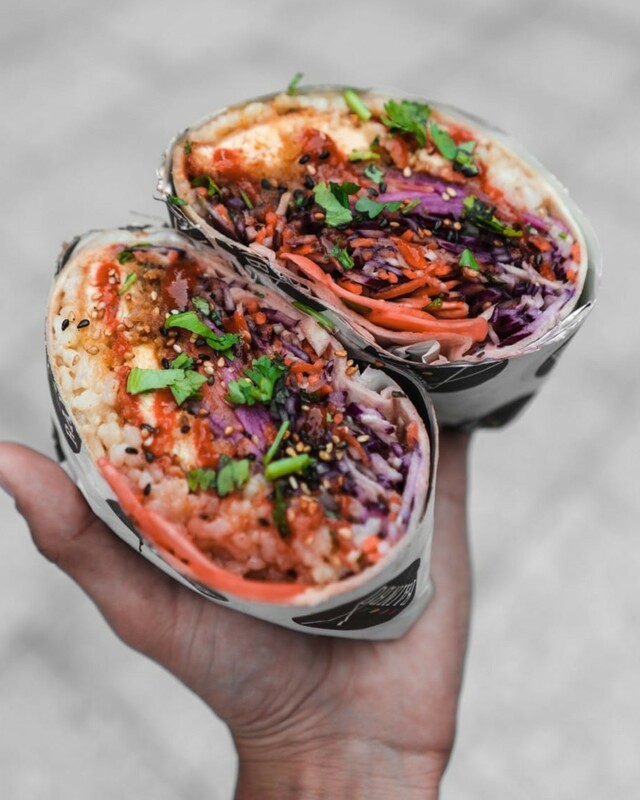 No problem, our caterers can happily work from a kitchen on site, but if it's a more casual vibe that you're after, they can cook and serve from their stunning food trucks and market stalls for the full theatrical experience. We only work with caterers who bring a little something extra with them other than top notch food and drink. We like them to provide theatricality, so you can expect an experience and not just a meal. 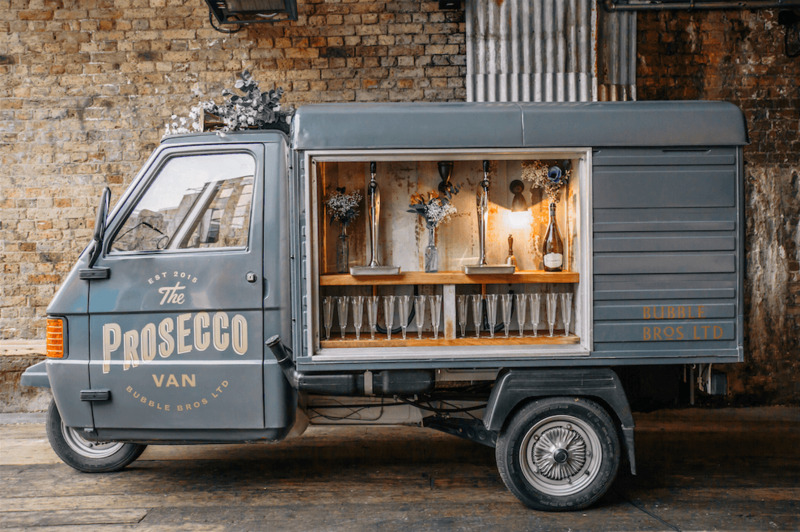 Whether they're grilling gourmet cheese toasties inside a converted retro ice cream van, or whipping up artisanal gin and tonics from a Citroen HY truck, our caterers pride themselves on wowing your guests before they've even had a bite or a sip. When you make a booking with us for your Christmas party catering, whether you've got 50 or 5000 guests, you'll be assigned a dedicated account manager who will curate your booking from start to finish. They are here to make sure absolutely everything is just as you want it, answering your questions and using their event expertise to make your experience with us simple and stress-free. To get the ball rolling, browse through our impressive collection of caterers and mobile bars to get an idea for what you think you might like. We've invited these caterers onto our platform for their event experience, professionalism and incredibly tasty food and drink, so you can rest assured that these are the best out there. Tell us about your Christmas party by taking two minutes to fill out our enquiry form and one of our event experts will be in touch with some great recommendations and a quote. Your caterers and mobile bars will bring everything they need to your Christmas party. This includes their vehicle, gazebo or market stall, their produce, their culinary equipment and the containers for serving their food or drink. If there's something really specific that you want, like cocktail cups branded with your company logo, you might have to provide them yourself. Once you've made a booking, you can chat to your caterers using our online messaging system to ask them any questions. How much does Christmas party catering cost? The answer to this can vary rather a lot depending on which caterers and bars you choose and how many guests you have. As a guideline, the minimum spend per head for food is around £7, but between £10 and £12 is more realistic. Mobile bars can cost between £10 and £20 per person, per event. Can the caterers cook and serve indoors? A number of our caterers can cook and serve their food and drink indoors, so when you make an enquiry, just let us know where your event is taking place. If you're after something that produces a lot of smoke, like BBQ meats or sizzling hot dogs, they might be better suited to an outside event, but tell us what you want and we will let you know what's possible! Can the caterers cook and serve outdoors? Absolutely. Whether you're throwing your Christmas party in an outdoor urban wonderland setting, or creating your own little company Christmas market, our caterers will fit in perfectly. The size of the outdoor space you have will determine whether they bring a truck, market stall or gazebo. Can the caterers cook from a kitchen at the venue? The vast majority of our caterers will be more than happy to cook their delicious food from the kitchen at your venue, they will just need to check what equipment is available before they confirm. Please mention this in your enquiry form so we can make the ideal recommendations. How can I pay for the catering? We pride ourselves on our secure booking system, so when you pay for your caterer on our site, over the phone, or by bank transfer, we will hold all your money in Escrow until the working day after your Christmas party before passing it over to the caterer. We have monthly payment plans, allowing you to split the total catering cost into equal monthly payments leading right up to the day of the party.